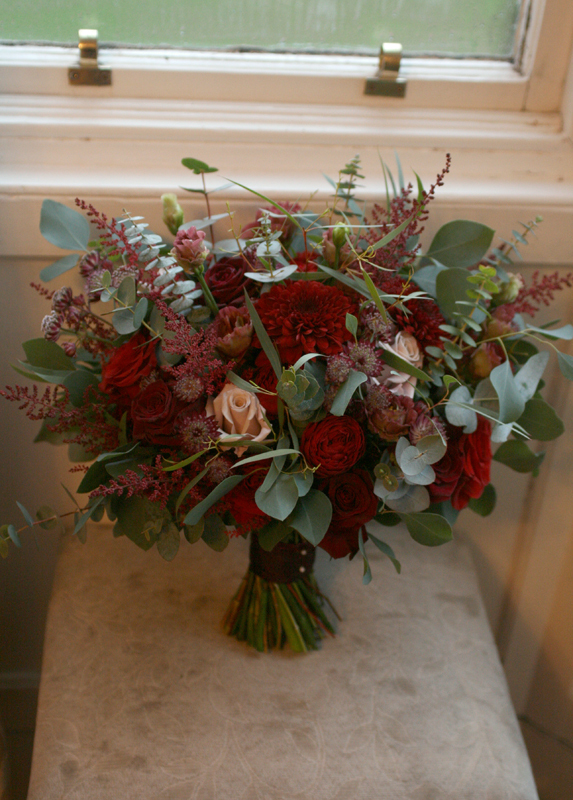 Kian and Thomas were married at the lovely Merchants’ Hall in Frederick Street on Saturday 31st of January. 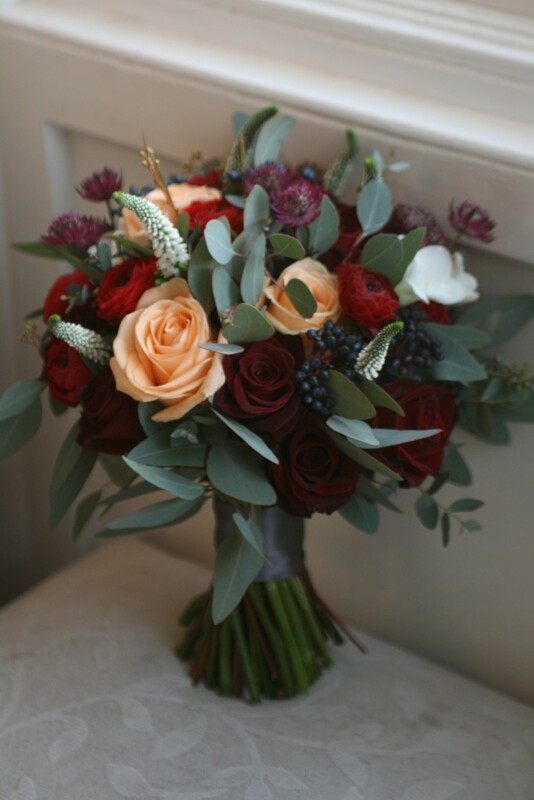 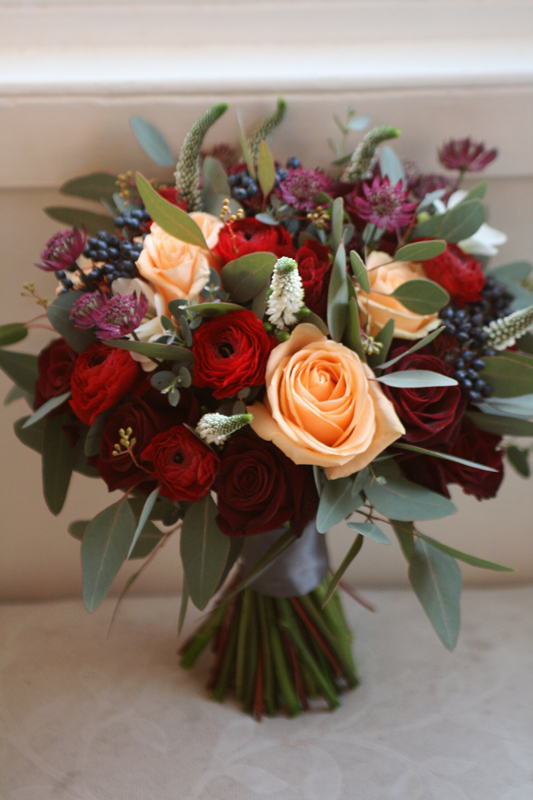 The colour scheme for Kian’s bouquet’s was red/burgundy and peach so we used black baccara roses, peach avalanche roses, ranunculus, astrantia, freesia and viburnum berries as well as lots of lovely eucalyptus populous foliage. 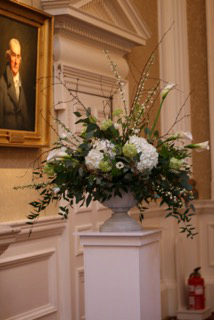 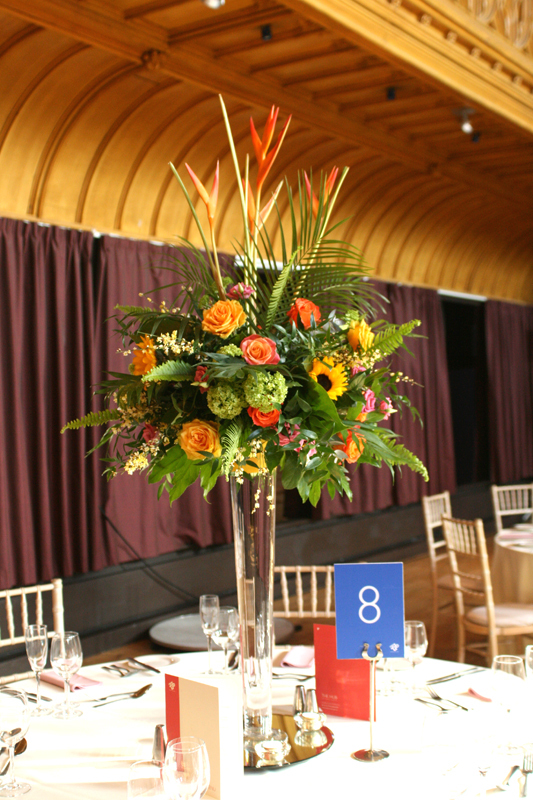 Kian and Thomas wanted 2 wild/loose style pedestals to sit at the front of the ceremony area. 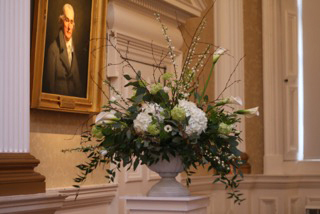 We used our lovely new wide urn vases for the displays which were filled with white and green blooms and chose lots of lovely ingredients such as wild branches, white blossom, hydrangea, viburnum opulus and eustoma along with different varieties of foliage.